When it comes to travelling, many people want to experience something truly unique that their friends haven’t done before. While most people stick to the tried and tested locations and destinations like Thailand, Mexico, the Caribbean or Europe, more and more people are taking chances and going further afield to places many fear to tread due to media coverage of the regions, such as the Middle East. Now, we’re not saying that you should head to Iraq and throw safety to the wind, but there are numerous countries in the region that are absolutely fine and are inviting as well as exciting. Check out our top tips for things to do in the UAE and consider this a destination for your next getaway abroad. One of the most exciting and enticing of the experiences one can have in the UAE includes heading out into the wilds of the desert for an afternoon and evening of sand and excitement. Off-road vehicles take you over dusty dunes and through the deep sands of the countryside, with entertainments set up along the way including Arabian dinners, bellydancers and camel rides. Overnight experiences can be arranged where you can sleep in Berber camps under the stars – one of the most enticing of experiences for those who come from areas where sights like the Milky Way are only seen on computer screens. Nothing quite beats seeing it in person in the deep desert. Fishing trips in Dubai are one of the more exciting things you can do with your time in the UAE, especially if you like sport fishing or fishing in general. You can catch all manner of fish in the warm waters here, especially considering the temperature is relatively constant year round. Fishing in the UAE can be a hugely exciting opportunity for fishermen and women ranging in experience and knowledge in the sport and can also provide an overall amazing chance to not only catch your own fish but also cook them on a local beach with your local guides and other travellers before indulging in a delicious fish dinner. The two main cities in the UAE, Abu Dhabi and Dubai provide the traveller to the region the best options in hotels, shopping and restaurants. Dubai itself is one of the preferred stops for travellers to the region, mainly due to the airport being one of the world’s biggest hubs of international air traffic, an is home to some of the best shopping in the whole of the Middle East. For a unique experience, consider heading to Ski Dubai inside the Dubai Mall, the third largest indoor ski hill in the world. 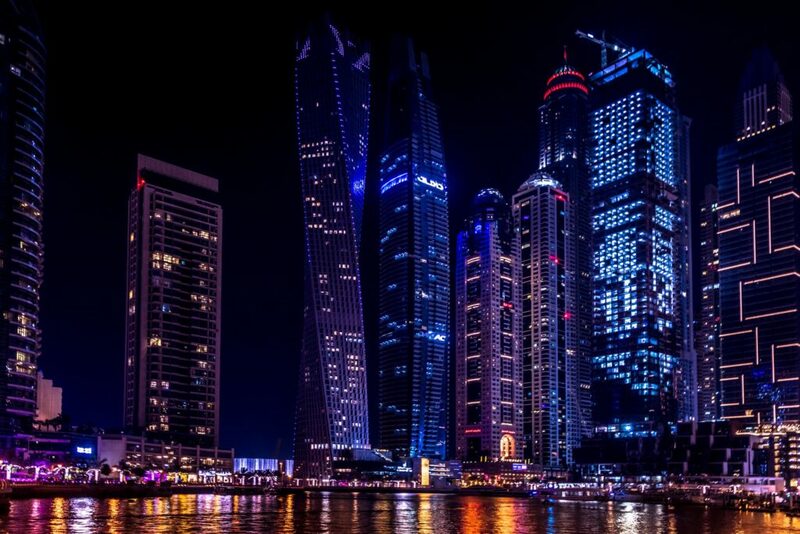 Abu Dhabi to a lesser extent has similar things on offer such as shopping, restaurants and general nightlife, although Dubai is preferred by many. So if you’ve been thinking about a trip somewhere new and exotic, why not consider the United Arab Emirates? A combination of Middle East meets West, this is the perfect introduction for anyone to the region and is among the safest and most welcoming. Just be sure to book hotels ahead of time – with tourism on the rise, they’re commonly booked up to almost full capacity, a sign of things to come with tourism in the area, and proof of its popularity.